More than half of the world’s population is now living in cities, and this number is predicted to rise. This means that more people than ever before will share the same urban infrastructure, and city governments around the world are heavily investing in smart city technologies to prepare. At the same time, scholars argue for a movement toward smart citizens and more participatory approaches to city making. Making Cities Smarter focuses on an often-overlooked element of the smart-city discourse–the interface between citizens and smart-city applications. 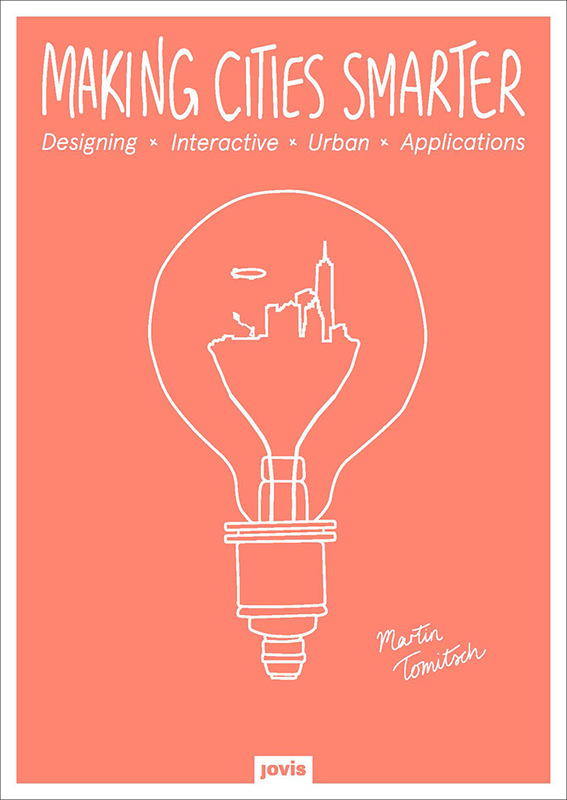 This volume translates principles from the field of user experience design to explore city-specific challenges, such as integrating physical and digital experiences. Offering a practical perspective on the concept of the smart city, this volume is the first comprehensive publication to focus on the citizen as the end user of smart-city systems. Dr Martin Tomitsch is an Associate Professor in Design and the Head of Design Lab at the University of Sydney, where he teaches interaction design and human-computer interaction. He is the Director of the Design Computing program and a member of the Design Lab, an interdisciplinary research group within the Faculty of Architecture, Design and Planning. His primary research interest is the application of user-centred interaction design methods and the study of user behaviours to inform the development of novel interfaces and interaction techniques for everyday life. In his research work he emphasises the design and evaluation of new approaches to human-computer interaction. He is co-author of ‘New Media Facades’ published by av edition and over sixty articles published in journals and academic conferences. He holds a visiting lecturer appointment with the Research Group for Industrial Software (INSO) at the Vienna University of Technology, is a founding member of the Media Architecture Institute (MAI), NSW state co-chair for the Computer-Human Interaction Special Interest Group (CHISIG) of the Human Factors & Ergonomics Society of Australia (HFESA), and committee member of several international workshops and conferences. Prior to commencing his position at the University of Sydney, he worked as interface designer in large software and IT projects. The post [Book] Making Cities Smarter appeared first on Putting people first.